“Drones, Poo-Pourri, toothpicks, Gatorade, green lights, and Pearl Jam.” –John F.
All in all, our fun-loving staff is excited to celebrate the holiday by giving thanks! To make sure they all have a chance to spend time with their friends and family, we will be closing at 2pm PST on Wednesday, November 26th. We will also be closed all day Thursday, November 27th and Friday, November 28th, and will return to our normal hours on Monday, December 1st. 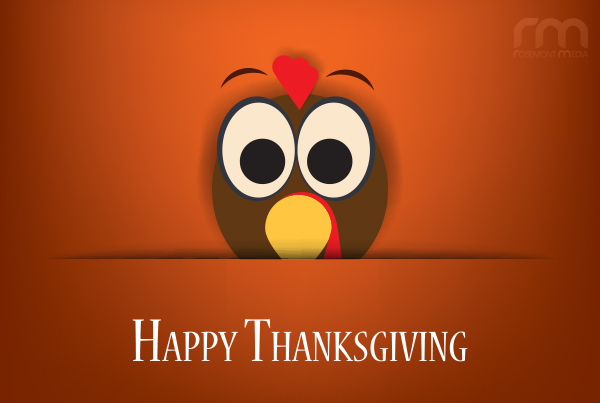 We appreciate your understanding, and we wish you a happy Thanksgiving!